Ok, so you’re an Internet Marketer now. Are you sure? Or could it be you’re just playing around and haven’t really gotten serious about it yet? I could ask you one question that would tell me for sure. Internet Marketing consists of both Affiliate Marketing and Network Marketing. Notice, if you will, that the word Marketing is in all three of those titles. Marketing is associated with sales. Sales happens to be the highest paying industry in the world so if an abnormally high income and a luxurious lifestyle is what you’re after, you couldn’t have picked a better industry. However, if you are intentionally avoiding anything that requires sales or recruiting, which essentially is still selling, then I would wager that you have been hopping from program to program for a while now and you’re not an inch closer to your goals than when you started. You’ve gotten caught up in the money game and probably spent thousands of dollars by now and haven’t seen a return yet. I’m not criticizing you. It has happened to the best of us. It’s not too late for you to get back on the right track, either. If sales scares you then I don’t want to burst your bubble but Internet Marketing may not be for you. I hate to see anyone give up on their dreams though so the last thing I’m going to suggest is that you quit. What you need to do is embrace the fact that sales is where the money is at and the Internet makes selling so much easier than in the offline world. You never have to go door to door and you never have to do any cold calling. Anyone can learn how to sell and anyone can get plenty of sales online. Believe me, there’s enough money to go around for everyone. Every successful person in marketing knows their list is the reason they are making money. The best sales people have the biggest and most responsive lists. Think about the offline world for a minute. Real estate agents and brokers have a list. Life insurance sales people have a list. Even car salesmen have lists. The bigger their list, the more money they make. Internet Marketing is no different. If you want to be successful you have got to start building your list. When I first got started in this industry, for my first 3 years, I ignored what people told me about building my list. I kept looking for that magical shortcut that would start making me lots of money without having to stop and build my list first. Well guess what? My 4th year I figured I’d bite the bullet and give it a try so I started working on my list. I thought for sure I was going to prove all those people wrong… but I was humbled by the results. By the end of my 4th year I was averaging about $3000 a month. My list wasn’t even that big yet. Over the years my online income has increased in direct proportion to the growth of my list. Whether your thing is affiliate marketing or network marketing, you won’t believe how much easier it is to get sales when you have a list. It’s also a lot cheaper for you because you don’t have to spend near as much on advertising when you can keep going back to your list instead. You probably already know that only 2 or 3% of the people who see your ads and click on your link will actually buy or join. So what happens to the other 97% then? Well, if you are not capturing them (adding them to your list) you have no idea who they are and you have lost them forever. But if you are capturing their contact information before you direct them to your sales page then you have many more opportunities to sell them something. Experts say for every person on your list that’s worth $1 a month in sales to you. This of course depends on how well you treat your list. If all you ever do is try to sell them something they will lose interest and either delete your emails or unsubscribe. You should always give your list a lot more value than they expect. That makes them eager to see your next email. If you had a list of 10,000 subscribers right now and say, tomorrow your car breaks down and you find out it’s going to cost $1500 to get it fixed, all it takes is one email to your list and you would have the money you need. You could simply find a hot selling affiliate product that pays a decent commission amount, write up a promo email for it, and blast it to your list. A 1% response rate would give you 100 sales. If your commission on that product was $25 then you would earn $2500, probably within 24 hours of sending out that email. It’s almost like printing money on demand. If you are into network marketing and you just joined a new company with a nutritional product that you are excited about using and sharing with others, one email to your list will undoubtedly get you some new recruits. Every email after that would likely get you a couple more. In other words, when you have a list recruiting is easy. Let’s find out how serious you are, shall we? I’m going to help you start building your list. The first thing you need is an autoresponder account. Now is not the time to be looking for magical shortcuts. Not anymore. Once you get started building your list it will quickly get large enough that emailing them direct from your computer won’t cut it anymore. 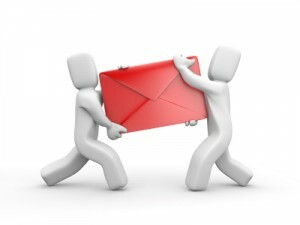 You need an autoresponder service. I recommend Aweber. I’ve tried all the rest and always came back to Aweber. It’s only $1 for the first month, then $19 a month after that. As your list grows they will charge you more but by that time you won’t care because your list will be paying you big time. Next, start reading my other blog posts on List Building. There are lots of ways to build your list. I’m going to teach you the basics and in some cases give you all the tools you need. Thanks for these tips Clay. I think I need to start building my own list rather using Feedburner for my subscribers.